It is a nostalgic week for me, as I will be ‘retiring’ on Friday as an employee of EVWG after fifteen and a half years of playing a role in the development of the Charity. 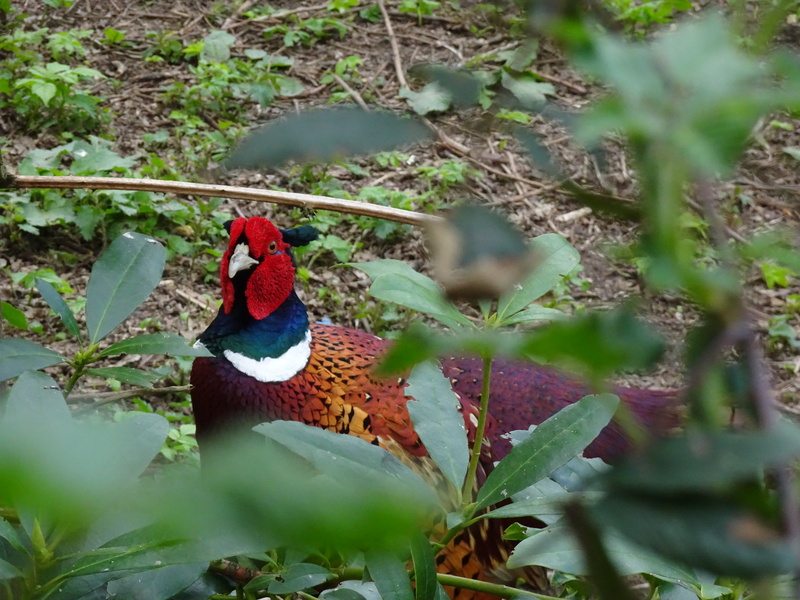 My final few days has involved me looking around the gardens to see what wild-life is around – and a … Continue reading Ann’s final week at EVWG…..
Well, Spring has well and truly arrived! There is lots of planting going on at the gardens now, both in readiness for our forthcoming Plant Sale (see ‘Forthcoming Events’ Section) and for our vegetable, fruit and herb planting programme. 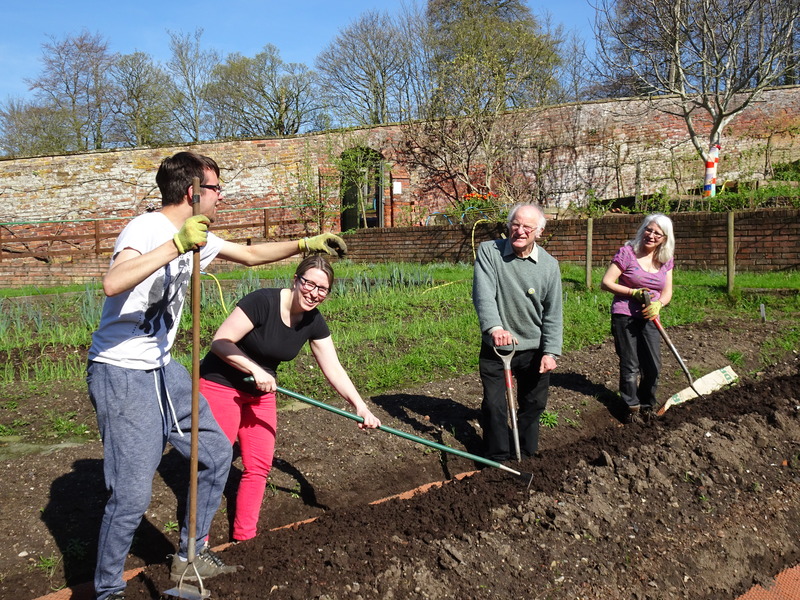 Here you can see Kate, our new fundraiser, helping prepare the ground for beetroot, with the support … Continue reading Planting starts in earnest at EVWG in temperatures of 25 Degrees! 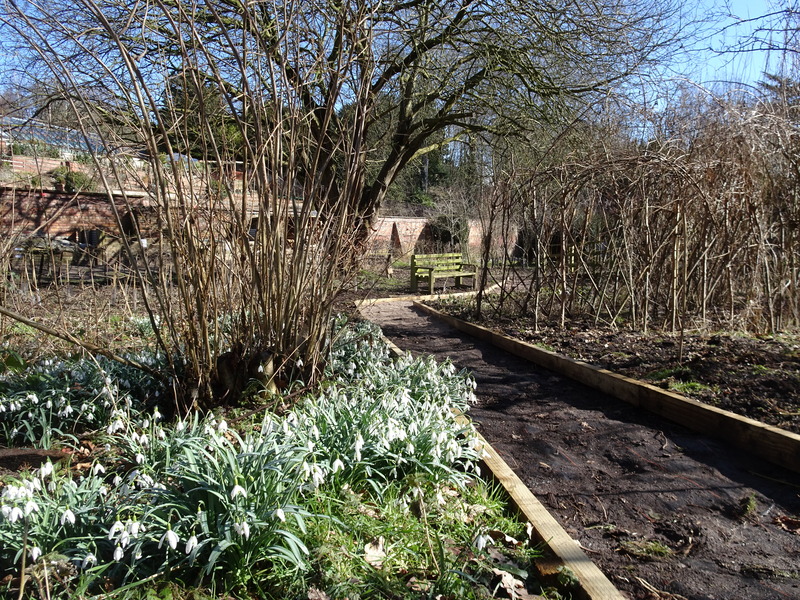 It was such a lovely sunny day at the walled garden yesterday (Monday 10th April), with butterflies and bumblebees flying around the gardens. Our vegetables, especially the rhubarb is growing quickly – why not pop along between 10am and 3pm to see what we have for sale? There are sightings of unusual birdlife too… A … Continue reading Peacock Butterflies herald the start of Spring at EVWG – at last? 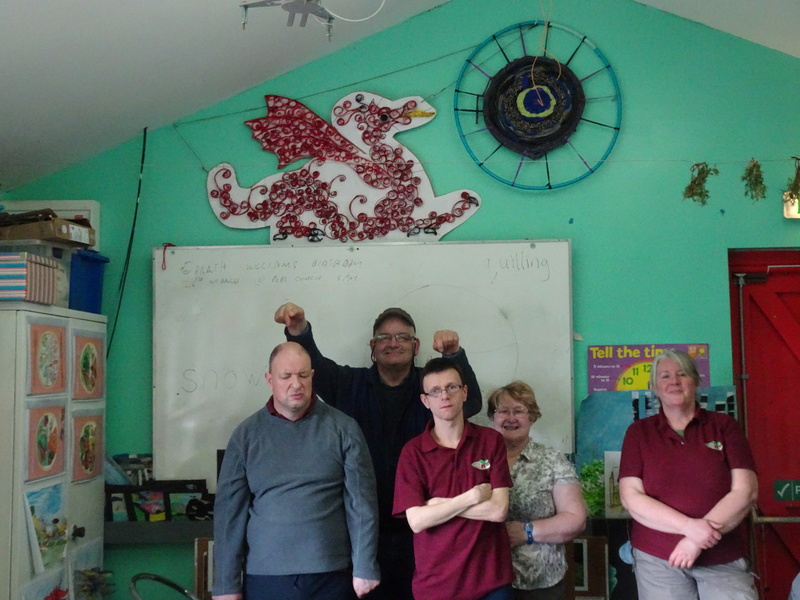 Gareth, John, Dan, Cath and Hilary have finished their Red Welsh Dragon, after weeks of hard work in the Monday Art Class. The fiery flames coming from its mouth are reaching the wheel made in the Tuesdays Craft Class. Our education room is always colourful with examples of our student’s work, and everyone feels a … Continue reading Monday’s Art Class proudly display the Welsh Dragon. After a cold and snowy few weeks, there are signs that Spring has arrived in the gardens. 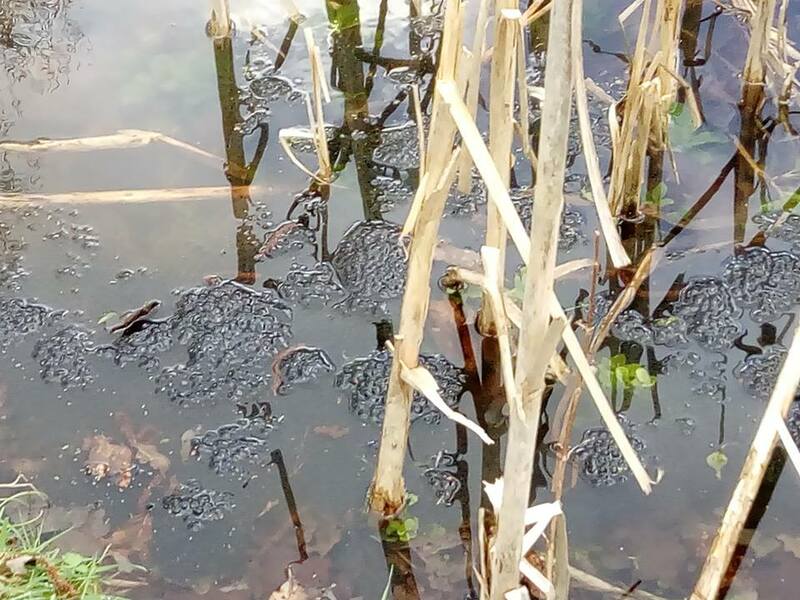 Frogspawn is visible in the pond: -And Rhubarb is starting to sprout: Our gardeners always find something to do out-side: -And Pete, Noel, Mark and Rob are busy laying new footpaths in the wild-life area. 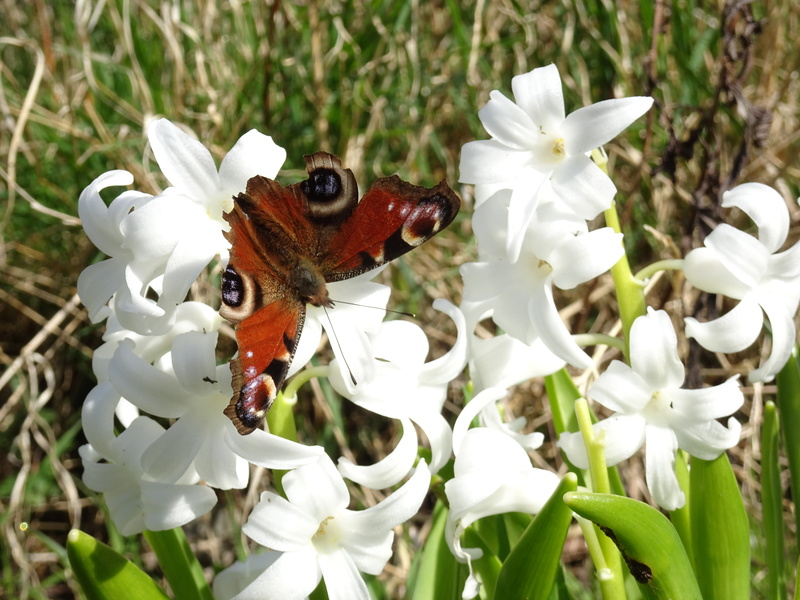 We were recently … Continue reading Is Spring finally here? 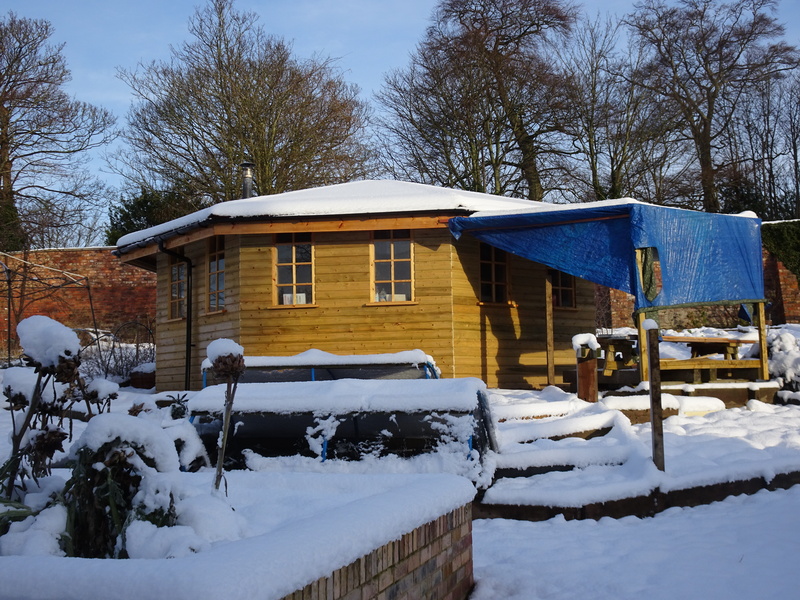 The roundhouse refurbishment is almost completed thanks to the hours of work that (super) Ray and Carlton have done since March last year, and to funding from the 3rd Sector Intermediate Care Fund and from the Armed Forces Covenant Grant. The photo shows the finishing touches being made by building apprentices from Bersham Road. 4 … Continue reading Keeping Busy in January at EVWG. A very Happy New Year to all our followers for 2018! It has seemed like a quiet few weeks here at the gardens, as the final week last year was curtailed due to the snow and cold weather. 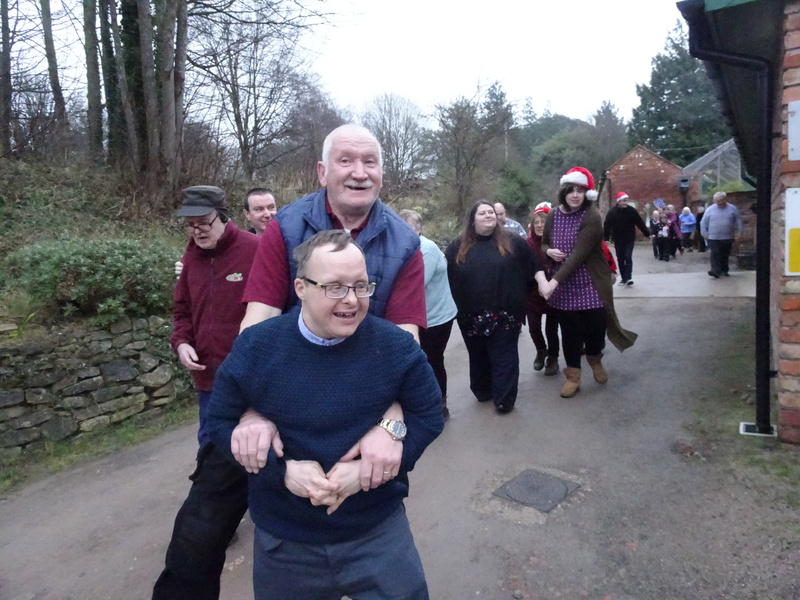 However, we were able to celebrate an award for one of our volunteers, Carlton, who has contributed greatly … Continue reading Happy New Year to all our supporters for 2018!